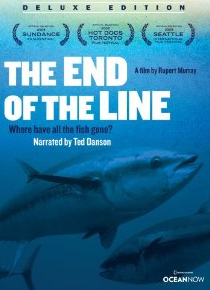 Based on Charles Clover’s book The End of the Line: How Overfishing Is Changing the World and What We Eat. How mankind, through massive overfishing, will soon drive all food fish species to extinction. The factory fishers don’t care. All they can about is getting the biggest possible share of the rapidly shrinking resource.